Max Verstappen is reveling in Red Bull's "amazing" partnership with Honda after starting the season with a third-place finish at the Australian Grand Prix. Valtteri Bottas and Lewis Hamilton made it a Mercedes one-two at Albert Park on Sunday, with Verstappen denying Sebastian Vettel a top-three finish. Red Bull are expected to move to another level with Honda engines this season, team principal Christian Horner describing the change to new power units as "the missing ingredient". 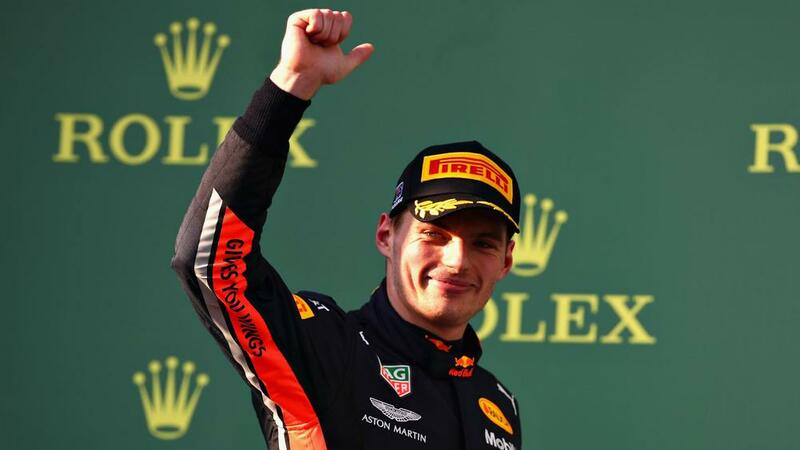 Verstappen was encouraged by his first race in a new era for Red Bull after ending a wait of almost 11 years for a Honda-powered car to take a podium finish. The Dutchman said: "Since we started working together it's been amazing, I'm really enjoying it, so also well deserved for [Honda]. On the first tires, as soon as you got within one and a half seconds the tyres overheated and I couldn't place an attack. "As soon as I got on to the medium tire, the car felt good and I was just slowly pushing up to him [Vettel], not destroying the tires, and as soon as I had the opportunity I went for it, but Lewis had more pace than Seb and at this track it is so hard to get past." Verstappen picked up 15 points and his only slight disappointment was being pipped to another for the fastest lap by Bottas. "It can be 21 extra points at the end of the season, so it's quite powerful," he added. "I was just trying to push up to Lewis and go for the fastest lap but it didn't work out, but I'm happy to be third, happy for the team and Honda."